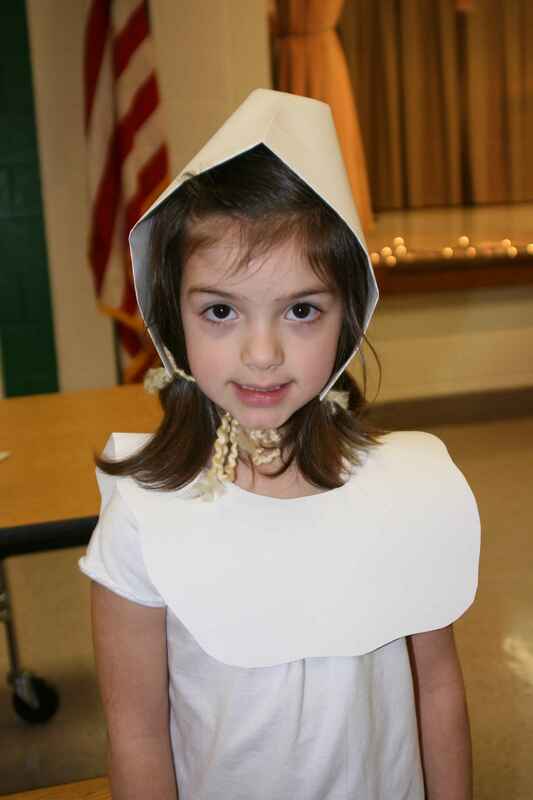 Here’s a cute pilgrim for you. 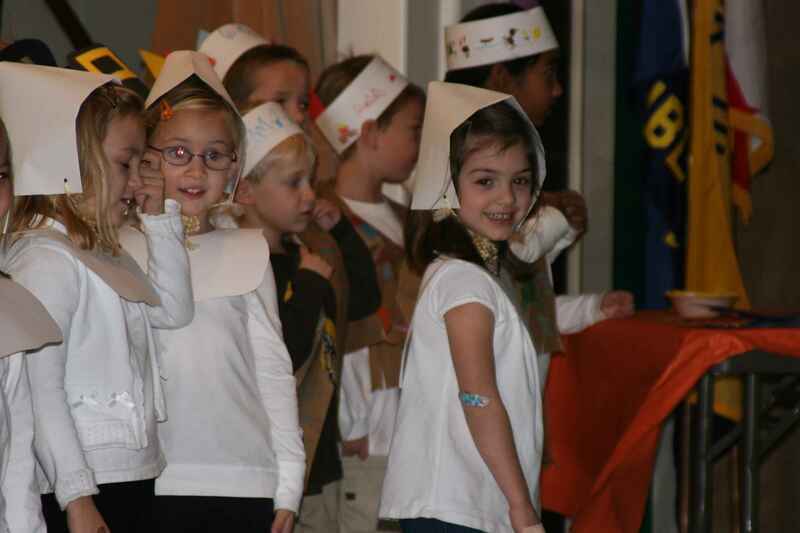 Leah had her Thanksgiving program on Monday. 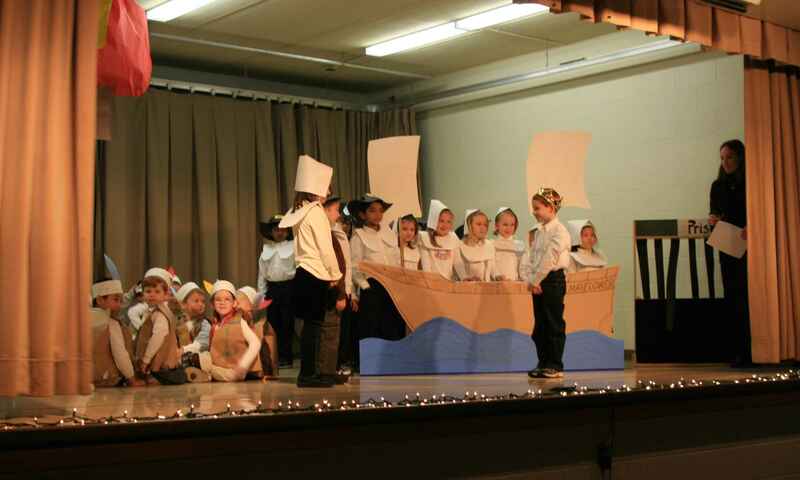 It’s tradition for the kindergarteners to give the Thanksgiving performance every year. They sang songs and did a little pilgrim dance. Love their cute hats! Here she is leaning on the side of the Mayflower. The 2 morning classes are combined for the program so there were lots of little pilgrims running around. It was funny because all of the pilgrims wanted to be in the front row of the Mayflower – some were doing a little pushing. The scene…pilgrims on the right and Indians on the left. 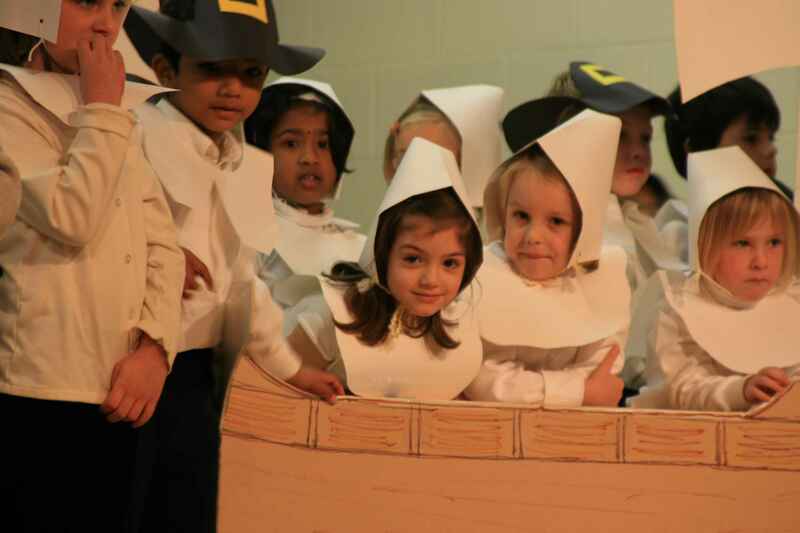 My cute little pilgrim is peaking out from behind the front sail on the Mayflower. Here’s happy pilgrim hanging out with her friends.